If a foreclosure happens in the wilderness, does it make a sound? It seems like people have conveniently forgotten that since the housing crisis hit we have witnessed more than 7,000,000+ foreclosures. Do you think these people believe the Fed is almighty and can stop a speeding train or turn water into wine? Apparently some people forget that the Fed failed to prevent the tech bust or the housing bust in the first place. Now, the Fed is somehow the cult leader and the leader will not let housing values fall. The nation still has 9.1 million seriously underwater homeowners on top of the more than 7 million that have gone through foreclosure. It is abundantly clear that the mindless drivel of “buying is always a good decision” is just that. Investors are starting to pull back in expensive states because value is harder to find. I see the lemmings at open houses and you can see the drool at the side of their mouths hoping for a morsel of real estate. The Fed, for better or worse, has turned us all into speculators. Simply putting your money in a bank is a losing battle because inflation is eroding your buying power. Yet wages are not keeping up. What you have is people competing with investors, foreign money, and a market with low inventory and trying to guess the next move from the Fed. Yet the tech bust and housing crash (keep in mind these happened only since 2000) were major events not prevented by the Fed. Does buying today make sense? The big question for many is whether buying today makes sense. Hopefully the 7 million foreclosures within the last decade highlights that housing isn’t always a simple buying decision. Investors have been dominant in the market since 2009. Big money is clearly pulling back from inflated markets like those in California. This trend is fairly new but even with this minor twist, inventory is picking up and sales are still very low. Print this chart out and just remember that housing is a big freaking purchase. Probably the biggest you will ever make. Just because someone is house horny doesn’t mean they should act on it. What fascinates me is that late in 2012, most of those in the housing industry failed to see the big run-up in prices for 2013. Most were predicting 2 to 5 percent price gains. Instead, we saw double-digit gains. At the end of 2013, the predictions were incredibly optimistic for 2014. If the trend is so obvious and clear, why do we see low volume in housing sales? 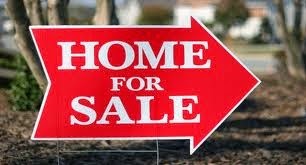 Existing home sales are down more than 35 percent from their peak reached in 2006. Our population is growing and prices are going up. Yet the push for higher prices has come from Wall Street, low rates, and normal buyers competing with the investor group. A big question that many are wondering is what will happen when big money starts to flow out of real estate. We are starting to find out slowly. Rates are also likely to go up – so for those that believe the almighty Fed can do anything they should listen to their leader that is utterly telling the market rates will go in one direction.